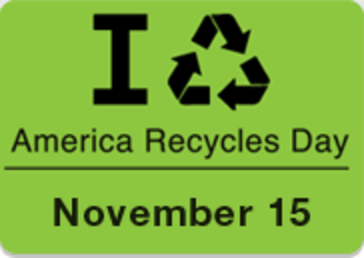 America Recycles Day on November 15 is dedicated to promoting and celebrating the practice of recycling in the United States. Here in Massachusetts, recycling is particularly important to our environment and our state’s economy. 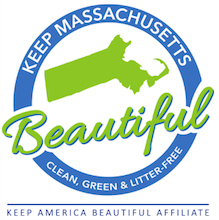 According to Mass Recycle, Massachusetts spends $400,000 to throw away 4,000 tons of trash each day. We spend $160 million of Massachusetts taxpayers’ money annually to manage trash. But soon there won’t be an “away”! By 2020, landfill capacity in Massachusetts will decline even more, forcing us to export two million tons of trash each year. Recycling conserves natural resources and reduces greenhouse gas emissions caused by dumping trash in landfills or incineration. Recycled materials can be transformed into something new and valuable, while also creating jobs and tax revenue right here in Massachusetts. To celebrate America Recycles Day on November 15, please join more than 75,000 people who have already taken the pledge to recycle more. You can also organize a local recycling or education event in your community. Visit the America Recycles Day website to learn more.